You are here: Home > Blog > Energy, sustainability & economics > Trees for Christmas. Most Christmas trees are now grown on “Christmas Tree Farms” as opposed to being harvested from natural woodlands and forests. 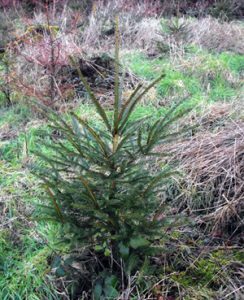 The life span of a Christmas tree from seed to a 'two metres tall tree' is between eight and twelve years (depending on the species). The Norway Spruce is one of the cheaper trees available. It is a ‘typical’ conifer - in that it is a woody, evergreen tree that produces it seeds in cones. Its growth is described as monopodial - producing one stem or trunk. 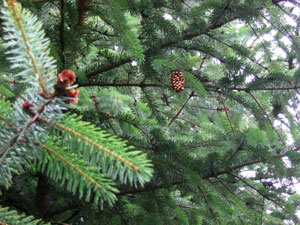 The Spruce produces resin* (a complex mixture containing terpenes) which helps protect the tree from attack by fungal and bacterial pathogens. As a tree, it is quite slow growing and long lived. Indeed, in Scandinavia there are some spruces that date back to the Ice Age. Conifers, such as the Norway Spruce have dominated the forests for millions of years. Fossil cones with Picea (Spruce) pollen have been found in geological strata from the Lower Cretaceous Period (of Vancouver Bay), dating back some 130 million years. Conifers are of great ecological and economic importance - so it is not surprising that the Norway Spruce was one of the first Gymnosperms to have its genome sequenced. The tree has a diploid chromosome number of 24 (2n=24), and its genome is large containing some 20 billion base pairs (about 7 times the size of the human genome). It is thought that there are some 29000 functional genes but there are a lot of DNA repeat sequences. It might be said that the tree suffers from ‘genome obesity’. Harvested, real trees of Norway Spruce (or any other conifer) are displayed for a relatively short time. An estimated six million trees brighten up our homes and offices across the country each Christmas. They then can be recycled. Many councils now have special Christmas Tree recycling options - for example, Cambridge, and in recent years all London boroughs have offered Christmas tree recycling services ; some offering a collection from home service whereas others open special drop-off points for a specific period to collect Christmas trees for recycling. Sadly, however, many millions of Christmas trees end up in land fill each year. 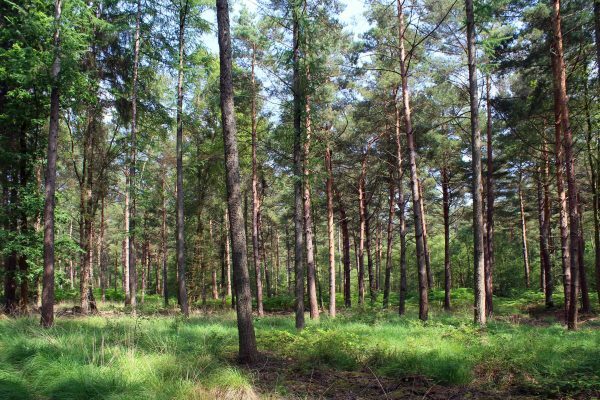 Real trees are essentially carbon-neutral, they emit no more carbon dioxide by being cut down and disposed of than they absorb while growing; but associated emissions / the carbon footprint can enlarge through farming activities and transport. Living Christmas or potted trees can be used again (and again) giving a longer life cycle for each tree. However, it is important that such trees are grown / produced in pots or containers; not roughly dug from the soil and placed in a pot with limited soil and nutrition. If the latter, then the combination of extensive root loss plus being suddenly subjected to high temperatures and low humidity indoors will mean that the chances of long-term survival are very limited. * Amber is fossil resin (also called resinite) from coniferous and other tree species. One way of recycling Christmas trees – with Rhinos! Blogs are generally short articles that try to offer a topic of interest to the general reader – without becoming too technical; ‘trees for Christmas” does refer to “associated emissions / the carbon footprint can enlarge through farming activities and transport“, plus there are links to the Carbon Trust – which deals with the topic of carbon footprints / emissions in greater detail.